North Bay Property Advisors has what it takes to handle all of your commercial real estate needs. In business for over 40 years, North Bay Property Advisers is a full-service commercial real estate company serving Northern California. 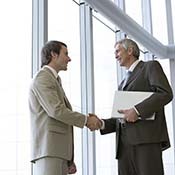 Our commercial real estate affiliate network covers the globe. We’re a one-of-a-kind team specializing in Buying, Selling, Leasing, Property Management, Appraisal, Financing and Real Estate Receivership. So, we can handle all your commercial real estate needs – under one roof. We know every property, every owner and its history. 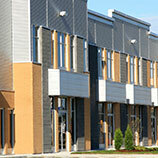 We are THE Northern California Commercial Real Estate Experts. Contact us today! There are many commercial real estate companies you could turn to, but you won’t find another one like North Property Advisors. We are proud to be a truly one-of-a-kind commercial real estate company, and there are many things that set us apart. As it states in our name, we are advisors. An advisor is an individual who leads others to success with their knowledge and expertise, and that is exactly what we will do for you. We have worked hard to build a team of experts who can help you accomplish even your most ambitious real estate objectives! The second thing that sets us apart is our huge selection of services. 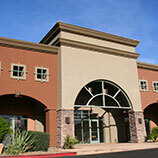 Most commercial real estate companies are limited to helping you buy and sell properties, but we can do so much more. In addition to helping you buy and sell properties, we also offer commercial property management, appraisal, financing and real estate receivership services. We are truly your one-stop shop for all of your commercial real estate needs! The third thing that sets us apart is our community involvement. We have set out to contribute to and improve Northern California in any way that we can, and that is why we have set up a business model that is very different than the norm. We have a corporate giving account set up, and 10% of each and every deposit we make goes into that account, which is then distributed to community-focused organizations and local nonprofits. We are the Bay Area’s premier full-service, commercial real estate experts! At North Bay Property Advisors, when we say full-service, we truly mean it. For the past 40 years, our team has been finding creative solutions for Northern California’s commercial real estate needs. Our full range of services goes well beyond the buying and selling services that most commercial real estate companies can offer. We specialize in all types of commercial properties, including apartments, retail, offices, industrial buildings, hotels, motels, B&B and land. What can North Bay Property Advisors do for you? Experience the difference when you work with North Bay Property Advisors. Whether your commercial property needs are great or small, no other company is better equipped to handle them than North Bay Property Advisors. Because we have lived and worked in the Bay Area for over 50 years now, we have a unique understanding of the area, plus we have a thorough understanding of the history of the commercial properties we work with. Our property database is unlike any other you will find. It not only contains the specifications of the commercial properties, it also contains information about history, ownership and property details. With state-of-the-art technology, years of experience and a full range of services to choose from, North Bay Property Advisors is the right commercial real estate company for your needs. Would you like to learn more about our services? Are you ready to let our knowledge and experience work for you? Contact us today! Contact us today to learn more about North Bay Property Advisors!